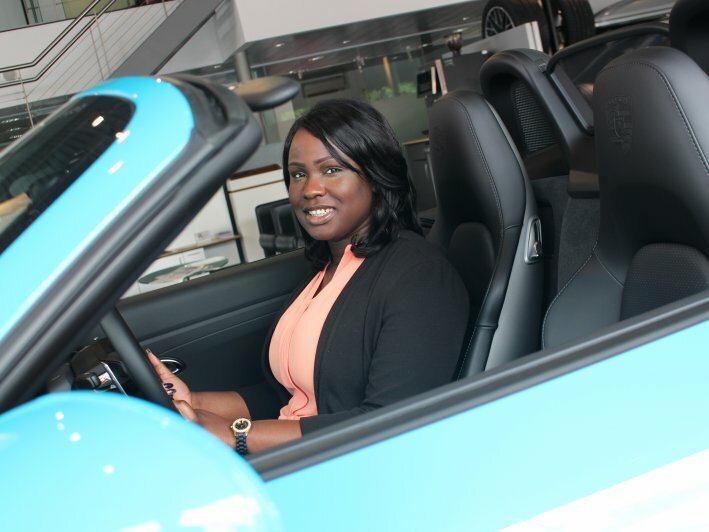 Becky Ideh, Finance Graduate at Jardine Motors Group, made the decision to enter the automotive industry promptly after leaving college. Starting as a Business Apprentice for the Jardine Motors Group Mercedes-Benz division in November 2013, Becky worked extremely hard, knuckled down and completed the course with flying colours. During her time on the Jardine Motors Group Apprentice programme, three years ago, Becky learnt all aspects of the business and working environment - ranging from sales to showroom host to parts and service. During this experience, she gained valuable insight and knowledge which enabled her to decide what area she wanted to progress a career in. Now undergoing the three year Jardine Motors Group Finance Graduate Programme, Becky is currently working at Porsche Cambridge as a Divisional Accounts Assistant. Here she will continue to develop her skills, gain greater knowledge and take advantage of training opportunities in the financial sector of the business. Becky is the perfect example of the wide range of opportunities that Jardine Motors Group can offer - she has a great future ahead contributing to the upcoming success of the business. Not only this, Becky is a very important asset to the business, she will help shape the way Jardine Motors Group operates and develops as a modern retailer. Becky has huge ambitions, strives to be the best she can be and wants to make a difference at Jardine Motors Group. She takes pride in her work and ultimately wants to progress up the career ladder to her dream role as a Dealership Accountant as she advances her knowledge. Completion of the Finance Graduate Programme will open up a range of potential job positions at Jardine Motors Group, taking her future career in a number of different directions.